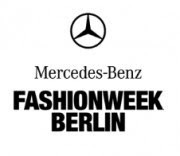 mercedes benz fashionweek will join the fashion rounds at berlin comes july 1st-4th 2009. as well the infamous bread and butter fashion fair most recently moved to the gates of former airport berlin tempelhof. with these two events hosted at the same time berlin will get infused by the crowds coming to eyeing & buying the goodies of the new season. spring-summer collections 2010 it is then.